I couldn’t sit still the whole time I was watching this movie. It was awesome! The first 5 minutes of the movie I literally had chills. From Tom Cruise to Catherine Zeta-Jones, the acting was different for every one. Justin Theroux did and amazing job writing each character, and Adam Shankman putting them to life. Russell Brand and Alec Baldwin cracked me up the entire movie. 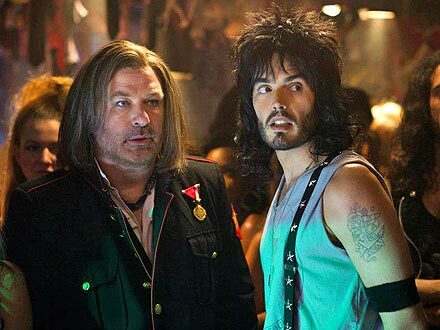 Russell Brand, who played Lonny, didn’t really have to get into character but in the scenes with Alec Baldwin, the collaboration was impeccable. Julianne Hough’s acting career will probably take off after this movie, considering she has two movies that are in post-production and is currently filming one. Not that my love for Adam Shankman movies has anything to do with how awesome I think this movie is, but every single one of you needs to see it. I promise you will be singing along to every 80’s song!